Bankruptcy Laws, You Have Seen Nothing Yet! Mortgage Chaos? There are many bright Real Estate Attorneys out there. Likewise, there are many bright Bankruptcy Attorneys out there. But I don’t think there are that many bright Bankruptcy Real Estate Attorneys out there. And the few that do exist…..well, I don’t think they worked for the Mortgage Companies. Why? Well if they did, the transfer of loans would not have existed the way that it did for the past several years. Lately, the big news in foreclosures has been the Ohio cases where Judge Boyko dismissed 14 foreclosures on October 31, 2007, and his Colleague, Judge Kathleen O’Malley of the same court, followed suite ordering another 32 dismissals on November 14, 2007. But that’s only the beginning. It gets worse. Add a bankruptcy filing to the mix and it’s like adding gas to the fire and recipe for disaster. The reason is a little bankruptcy code section called 11 USC 544. Basically, that section allows a Trustee appointed by the Bankruptcy Court to avoid non-perfected liens.Non-perfected liens are liens that exist, but are not fully noticed to everyone, sort of like secret liens. It’s like if someone loans you $50,000 and takes a lien out on your house, but never records their lien with the county recorder. If that house sells, the lien is not paid since escrow was not aware of it. Had it been recorded by a “deed of trust” or “mortgage,” the Title Company and Escrow Company would not have closed once they saw it, unless it was paid. Because of all the crazy real estate financing, securitization, and reselling of all the mortgages, sort of the same thing has happened with all the mortgages and trust deeds, but on a much larger scale. Normally, most states require that when a mortgage or real estate loan is sold or transferred to another lender, certain things must happen to maintain perfection, that is, in order to make sure that lien gets paid at a later date. Generally, the purchaser of the Mortgage has it recorded at the County Recorders Office. This is usually done thru a recorded assignment of the underlying note and mortgage or a new Mortgage being recorded and transfer of the Note. The Note is the most important part of any Mortgage or Deed of Trust. 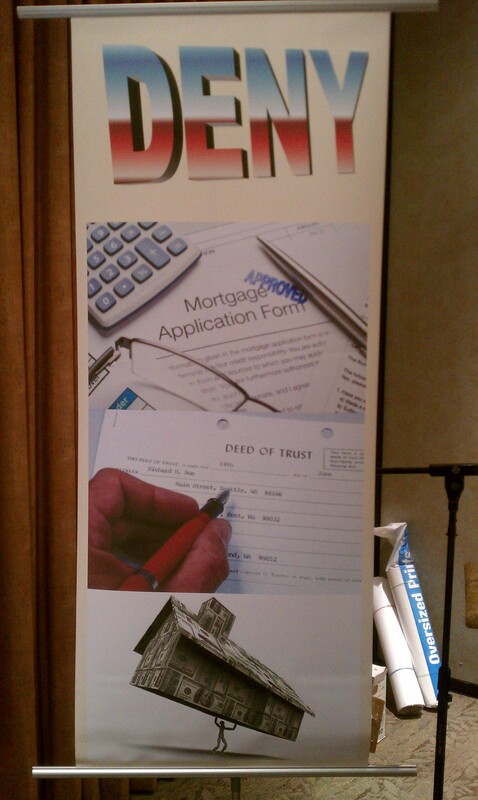 The Mortgage or Deed of Trust is useless without the Note, and usually can not exist without it. It’s a negotiable instrument, just like a check. So when it’s transferred, it needs to be endorsed, just like a check. So essentially, all real estate has documents recorded to evidence the lien, and which are linked to the “checks.” Well, this is where the problem lies. In most of the Mortgage Transfers which took place recently, the Mortgage or Deed of Trust was transferred, but not the Note. Whoops! Why? It was just too expensive to track down every note for every mortgage since they were all bundled up together and sold in large trusts, then resold, resold, etc. Imagine trying to find 1 note among thousands, which were sold in different trust pools over time. Pretty hard to do! So shortcuts happened. Soon enough, shortcuts were accepted and since there were very little foreclosure activity during the last 7 year real estate bubble, no one really noticed in the few foreclosures that took place. Until recently. That’s where the Ohio cases come in. Times have now changed. That little shortcut stopped the foreclosures in Ohio since the most basic element of any lawsuit is that the party bringing the lawsuit is the “real party in interest.” That is, they are the aggrieved party, injured party, relief seeking party. So in Ohio, the Judge dismissed all the cases since they did not possess the Notes or Assignments on the date of filing, and technically were not the real party in interest to file the suit at the time.But that maybe only a temporary problem until they find the note or assignment. At that point, they will probably just file the foreclosure lawsuit again. So it’s just a delay. But the bigger problem exists in Bankruptcy. You see, once a Bankruptcy Case is filed, the Automatic Stay goes into effect. Everything is frozen. Mistakes can no longer be corrected. And if the lender did not have the note or recorded assignment when the bankruptcy case was filed, it was an “unperfected lien” at the time of filing. Unperfected liens get removed in Bankruptcy. So finding the note or recording an assignment after filing will no longer fix the problem! Finding the note or or recording an assignment is now simply too late and futile. That $12 shortcut may now have cost the lender a $500,000 mortgage!The Bankruptcy Trustee now is in charge, puts his 11 USC 544 hat on, and voila, removes the mortgage! Yes, that house that once had no equity worth $450,000 with $500,000 owed on it, is now FREE AND CLEAR! He sells it, and disburses all the proceeds to the creditors. SACRAMENTO — Attorney General Kamala D. Harris today announced that the final parts of the California Homeowner Bill of Rights have been signed into law by Governor Jerry Brown. Senate Bill 1474 by Senator Loni Hancock, D-Berkeley, which gives the Attorney General’s office the ability to use a statewide grand jury to investigate and indict the perpetrators of financial crimes involving victims in multiple counties. Assembly Bill 1950, by Assemblymember Mike Davis, D-Los Angeles, which extends the statute of limitations for prosecuting mortgage related crimes from one year to three years, giving the Department of Justice and local District Attorneys the time needed to investigate and prosecute complex mortgage fraud crimes. Assembly Bill 2610 by Assemblymember Nancy Skinner, D-Berkeley, which requires purchasers of foreclosed homes to give tenants at least 90 days before starting eviction proceedings. If the tenant has a fixed-term lease, the new owner must honor the lease unless the owner demonstrates that certain exceptions intended to prevent fraudulent leases apply. Previously signed into law were three other components of the Homeowner Bill of Rights. Assembly Bill 2314, by Assemblymember Wilmer Carter, D-Rialto, provides additional tools to local governments and receivers to fight blight caused by multiple vacant homes in neighborhoods. Two additional bills, which came out of a two-house conference committee, provide protections for borrowers and struggling homeowners, including a restriction on dual-track foreclosures, where a lender forecloses on a borrower despite being in discussions over a loan modification to save the home. The bills also guarantee struggling homeowners a single point of contact at their lender with knowledge of their loan and direct access to decision makers. 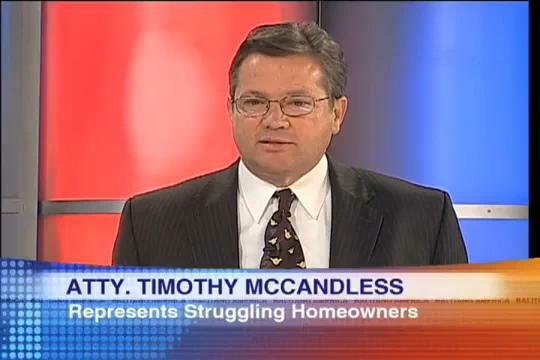 All aspects of the California Homeowner Bill of Rights will take effect on January 1, 2013. In her opening brief appellant claims that the order dissolving the injunction is invalid because it issued “ex parte.” After calendar notice was sent to him, trial and appellate counsel, Jason W. Estavillo, asked that we dismiss the appeal. We will deny this request. 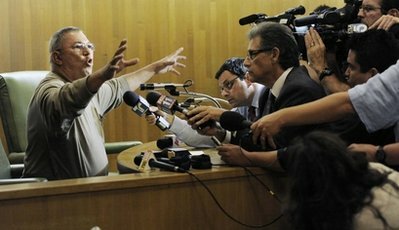 We will affirm the judgment and refer the matter to the California State Bar for consideration of discipline. In 2010 appellant defaulted on her $480,000 World Savings Bank FSB loan secured by a deed of trust. Wachovia Mortgage, a division of Wells Fargo Bank NA (respondent) recorded a Notice of Trustee’s Sale on May 12, 2010. The trustee’s sale was postponed to August 9, 2010. Appellant sued for declaratory/injunctive relief on August 5, 2010. 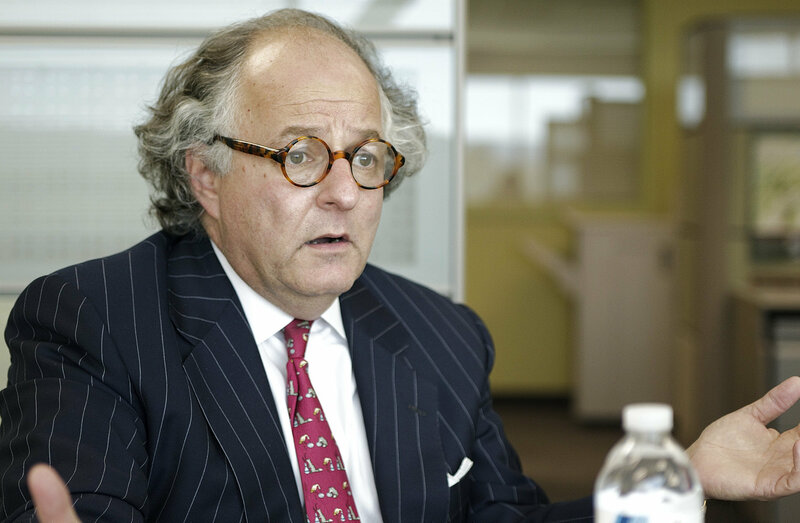 The trial court granted a temporary restraining order to stop the trustee’s sale. On September 7, 2010, the trial court granted a preliminary injunction on condition that appellant deposit $1,700 a month in a client trust account in lieu of a bond. In the opening brief appellant’s counsel feebly argues that respondent failed to make a good cause showing for ex parte relief and that her due process rights were violated. She prays for reversal of the order allowing sale of her home. But rather than granting ex parte relief, the trial court agreed to set the matter for hearing. So, the premise to the sole contention on appeal, the ex parte nature of the order, is false. Moreover, at the noticed hearing, appellant expressly waived any claim that the hearing was not properly noticed or was irregular. (Eliceche v. Federal Land Bank Assn. (2002) 103 Cal.App.4th 1349, 1375.) 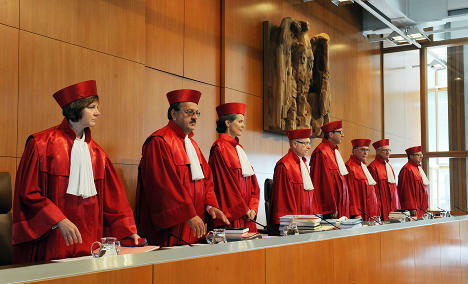 Waiver aside, the trial court had good cause to “fast track” the hearing. The Notice of Trustee’s Sale was about to expire and appellant had not deposited money in lieu of an injunction bond, as ordered. Code of Civil Procedure section 529, subdivision (a) required that the preliminary injunction be dissolved. The appellate courts take a dim view of a frivolous appeal. Here, with the misguided help of counsel, the trustee’s sale was delayed for over two years. Use of the appellate process solely for delay is an abuse of the appellate process. (In re Marriage of Flaherty(1982) 31 Cal.3d 637, 646; see also In re Marriage of Greenberg (2011) 194 Cal.App.4th 1095, 1100.) We give appellant the benefit of the doubt. But we have no doubt about appellate counsel’s decision to bring and maintain this appeal, and at the eleventh hour, seek a dismissal. No viable issue is raised on appeal and it is frivolous as a matter of law. (See e.g. In re Marriage of Greenberg, supra, 194 Cal.Ap.4th 1095.) “[R]espondent is not the only person aggrieved by this frivolous appeal. Those litigants who have nonfriviolous appeals are waiting in line while we process the instant appeal.” (Estate of Gilkison, supra, 65 Cal.App.4th at p. 1451.) Respondent has not asked for monetary sanctions. We have not issued an order to show cause seeking sanctions payable to the court. But we do not suffer lightly the abuse of the appellate process. Robert A. Bailey; Anglin, Flewell, Rasmusen, Campbell & Trytten, for Respondent. After World Savings Bank FSB issued the loan in 2006, it changed its name to Wachovia Mortgage FSB. Wachovia Mortgage merged into and became a division of Wells Fargo Bank NA. What is a Wrongful Foreclosure Action? The pretender lender does not have the loan and did not invest any of the servicers money. Yet these frauds are occurring every day. They did not loan you the money yet they are the ones foreclosing, taking the bail out money, the mortgage insurance, and then throwing it back on the investor for the loss. 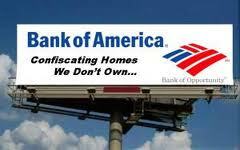 We could stop them if a few plaintiffs where awarded multi million dollar verdicts for wrongful foreclosure. A wrongful foreclosure action typically occurs when the lender starts a non judicial foreclosure action when it simply has no legal cause. Wrongful foreclosure actions are also brought when the service providers accept partial payments after initiation of the wrongful foreclosure process, and then continue on with the foreclosure process. These predatory lending strategies, as well as other forms of misleading homeowners, are illegal. 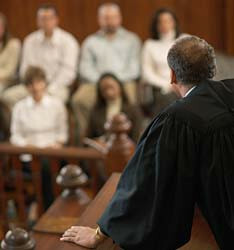 The borrower is the one that files a wrongful disclosure action with the court against the service provider, the holder of the note and if it is a non-judicial foreclosure, against the trustee complaining that there was an illegal, fraudulent or willfully oppressive sale of property under a power of sale contained in a mortgage or deed or court judicial proceeding. The borrower can also allege emotional distress and ask for punitive damages in a wrongful foreclosure action. Improper accounting for a confirmed chapter 11 or chapter 13 bankruptcy plan. Any time prior to the foreclosure sale, a borrower can apply for an injunction with the intent of stopping the foreclosure sale until issues in the lawsuit are resolved. The wrongful foreclosure lawsuit can take anywhere from ten to twenty-four months. Generally, an injunction will only be issued by the court if the court determines that: (1) the borrower is entitled to the injunction; and (2) that if the injunction is not granted, the borrower will be subject to irreparable harm. Damages available to a borrower in a wrongful foreclosure action include: compensation for the detriment caused, which are measured by the value of the property, emotional distress and punitive damages if there is evidence that the servicer or trustee committed fraud, oppression or malice in its wrongful conduct. If the borrower’s allegations are true and correct and the borrower wins the lawsuit, the servicer will have to undue or cancel the foreclosure sale, and pay the borrower’s legal bills. Why Do Wrongful Foreclosures Occur? Wrongful foreclosure cases occur usually because of a miscommunication between the lender and the borrower. This could be as a result of an incorrectly applied payment, an error in interest charges and completely inaccurate information communicated between the lender and borrower. Some borrowers make the situation worse by ignoring their monthly statements and not promptly responding in writing to the lender’s communications. Many borrowers just assume that the lender will correct any inaccuracies or errors. Any one of these actions can quickly turn into a foreclosure action. Once an action is instituted, then the borrower will have to prove that it is wrongful or unwarranted. This is done by the borrower filing a wrongful foreclosure action. Costs are expensive and the action can take time to litigate. The wrongful foreclosure will appear on the borrower’s credit report as a foreclosure, thereby ruining the borrower’s credit rating. Inaccurate delinquencies may also accompany the foreclosure on the credit report. After the foreclosure is found to be wrongful, the borrower must then petition to get the delinquencies and foreclosure off the credit report. This can take a long time and is emotionally distressing. Wrongful foreclosure may also lead to the borrower losing their home and other assets if the borrower does not act quickly. This can have a devastating affect on a family that has been displaced out of their home. However, once the borrower’s wrongful foreclosure action is successful in court, the borrower may be entitled to compensation for their attorney fees, court costs, pain, suffering and emotional distress caused by the action. 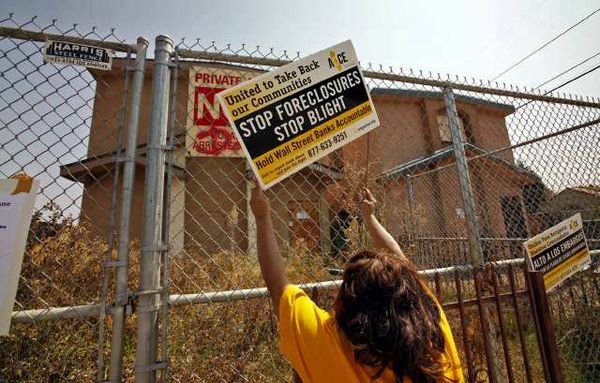 Fortunately, these wrongful foreclosure incidences are rare. The majority of foreclosures occur as a result of the borrower defaulting on their mortgage payments. Today I was told by Judge Brown of the Sacramento County Superior Court that Civil Code 2936 does not apply to deeds of trust because the statute states mortgage. I was also told that Carpenter v. Longan did not apply to the statutory framework of Section 2924 and the nonjudicial foreclosure scheme. I pleaded that the security instrument follows the note and is unenforceable if it is separated to no avail. I do like Judge Brown, so this is by no means an attack on him, but it took me only 10 minutes of research to prove that I was right.